This article is sponsored by Nurofen for Children. The first time your precious little one has a fever will absolutely knock the wind out of you. You’ve read the baby books, you’ve talked with your friends and you think you’ve got this on lock. But when it’s YOUR child that’s sick (particularly in the middle of the night) even the calmest amongst us will have to admit to going into a full-blown panic. A million worst-case scenarios start to rush through your mind as your poor little bub wails and gets hotter and hotter. You feel helpless and overwhelmed and completely out of your comfort zone. 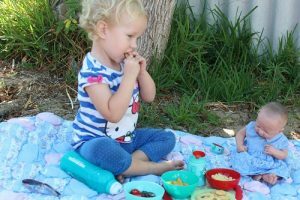 Your parenting instinct goes into overdrive and all you want to do is fix the situation. Unfortunately, bub is just too little to be able to explain what the problem is. You need tools to help – and a reliable device for taking baby’s temperature is one of them. 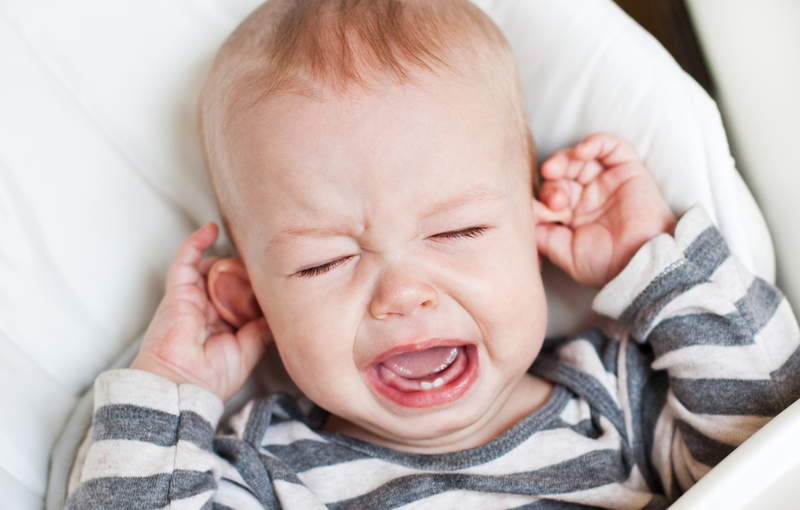 When it comes to taking baby’s temperature, there are a lot of options on the market. 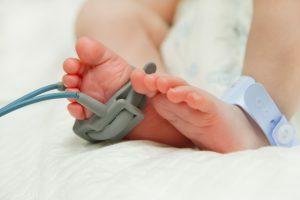 Why is taking baby’s temperature important? You need to ascertain the issue. Children’s bodies can tell us a lot and a fever is generally an indication of the body raising temperature in order to fight something off. Typically this is an infection (usually viral or bacterial) but there’s no way of knowing without professional medical assessment. How do you take baby’s temperature? As said previously, you’re looking at a LOT of options. Here are a few of the ones that have been tested and tried by parents who have been down this road before you. An oral thermometer is probably the one that first comes to mind. You place it under your tongue and leave it there for a while to be able to get a reading. That sounds fairly straight forward – if you’re talking about an adult patient! Imagine your baby or toddler staying still enough for that long and being happy enough to keep the thermometer in their mouth. This is a cheap option but, because of the above reasons, it’s really only ideal for older children. This is considered to be the most accurate method of taking baby’s temperature. HOWEVER. The vast majority of parents do not take this path. As you can imagine, it can be distressing and uncomfortable (for all concerned). That’s not to say you shouldn’t do it – just that many wouldn’t. Whilst this might have been your parents’ method of taking baby’s temperature, it’s not a scientific or medically accurate way of telling ANYTHING. It also depends a lot on how hot or cold your hands are to begin with. Not reliable and definitely outdated. In terms of ways of taking baby’s temperature, an infra-red ray ear thermometer is quite easy to use. Choice have reviewed the ear thermometer here. Personally I have found I can get a wide variation in results with the ear thermometer. There have been times when I’ve had to check again and again and AGAIN as my child gets more and more frustrated and upset. Inconsistent results can be frustrating from a parental perspective. Not fun for anyone! A lot of parents feel like this has the same kind of outcome as the oral thermometer. You must hold it under the child’s armpit for a while before you can get a reading. Kids are wriggly and ticklish. In addition to that, they’re probably feeling pretty damn cranky already so you’ve got a real recipe for disaster on your hands. If you’re going to go this option, we’d definitely recommend it for older children instead of littlies. From personal experience, my child hated this one so much that it made me reluctant to take his temperature using it as it aggravated him so much. You would have seen at the top of this article that this post is sponsored by Nurofen for Children. I’d like to make REALLY clear, though, that Baby Hints and Tips is a site that stands by its recommendations. 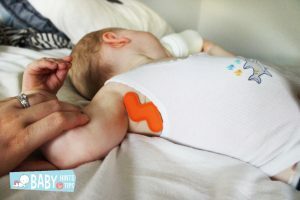 Hand on heart, this a fabulous option for taking baby’s temperature and I’ve recommended it to a LOT of friends and family. The new technology with continual temperature monitoring will make managing illness so much easier for many families. 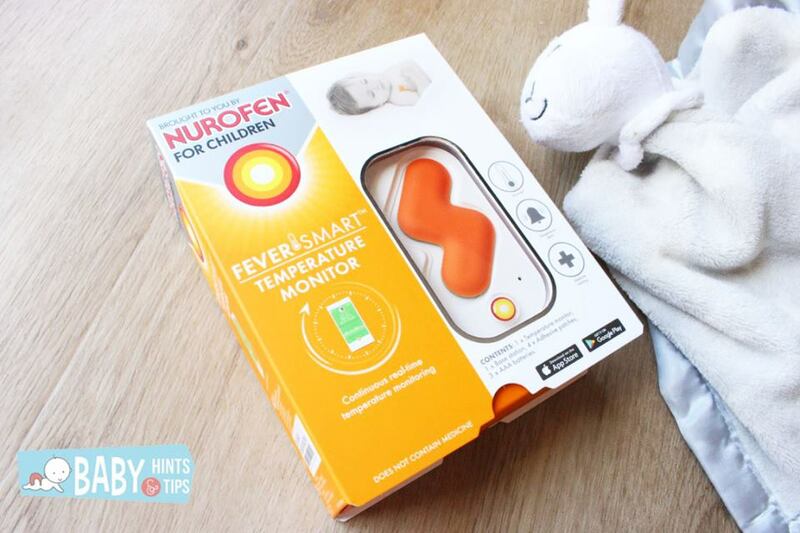 The FeverSmart Temperature Monitor by Nurofen for Children is an incredible piece of technology. You can use it while your child is asleep. You put an ultra-sensitive adhesive patch under their arm that continuously monitors their temperature (while you keep checking on them, of course). You download an app on your phone and the monitor sends temperature readings to your smart phone and push notifications when your child has a high temperature! Welcome to the future, parents! • It’s non-invasive and, more likely than not, your kid will have no idea you’re even doing it. The FeverSmart Temperature Monitor is available now in local Chemist Warehouses and Pricelines, so make sure you head out to grab one today for that much-needed reassurance and you will be all set to monitor your child’s temperature. You can find out more information about the FeverSmart Temperature Monitor by visiting their website or their Facebook page. Feversmart does not replace continuous parental vigilance. When in doubt, always see your healthcare professional. Always read the label. Use only as directed. If you are concerned about your child’s fever, see your doctor. This article is sponsored by Nurofen for Children. All information about non-Nurofen product is the opinion of the author. * Accurate within +/- 0.2 degrees Celsius. Environmental factors and child’s position may result in greater variance.